Many homes across Hucclecote suffer from slow broadband speeds – the bulk of them are among the new homes built on Coopers Edge. A handful of more rural properties also get a poor service from BT. According to BT figures almost two thirds of the 700 new properties built on Coopers Edge are currently suffering from below par speeds. BT’s database suggests that 450 homes that are served by BT superfast cabinets are currently on an upgrade ‘waiting list’. This means the cabinets are connected to fibre but the capacity of that cabinet to serve more premises needs to be improved. The complexity of these improvements will vary by cabinet, but an upgrade will be required before the residents it serves can get a superfast service. This may be the reason that ISPs are telling residents that superfast is ‘not available’, rather than that it will be available by a specified date. The biggest problem seems to be those homes served by Cabinet 42, which hasn’t been fibre-enabled. BT’s data suggests there are 134 homes that are connected to this one – some (but not all) of the properties in Arlington Road, Burroughs Close, Hazel Way, Lancaster Road, Juniper Way, Robinswood Close, Roselle Drive, Stearman Road, Sycamore, Walk Yew Tree Road and Walnut Close seem to be the main ones affected. Coopers Edge School is also linked to Cabinet 42. There appear to be two tactics that can be employed to sort the problem – one for the 450 homes that are currently on BT’s ‘waiting list’; and one for those that are currently linked to Cabinet 42. If you are one of the 450 properties waiting for superfast broadband from a cabinet that has already been fibre-enabled you (in theory) shouldn’t have to wait for more than one or two months. If it is taking longer than this it suggests that BT/Openreach has been dragging its heels. It ought to be simple for BT to upgrade a fibre-enabled cabinet (it can add in extra hardware, or tack a smaller cabinet on alongside), and it shouldn’t, in theory, take BT long to do this. It is therefore vital to know how long you have been ‘waiting’. If you have been in limbo for more than two months please email us with your name, address, how long you have been ‘waiting’ and who you have been in contact with. We will then collate these responses and submit a formal complaint to BT’s High Level Complaints Team. If you are linked to Cabinet 42 (the one that hasn’t been fibre-enabled yet) it may be possible to enable it by working with BT’s Community Fibre Partnership Team. The parish council has recently enquired with this Team, asking it to detail what it would cost to upgrade the cabinet and what top-up might be required to make it viable. Once we know the cost there are a number of options open to us. For example, because the school is linked to cabinet 42 this should automatically trigger a pot of funding towards the cost. And, if the upgrade cost is fairly modest, there may be other grants or sources of finance that we could also explore. As the Gloucester Business Park has expanded, so has the number of people working there, and there are nowhere near enough on-site parking to cope. Consequently a growing number of people have been parking in the local residential streets. We have had discussions with the park management team and this has resulted in some additional parking spaces being provided, but there are still many more workers wanting to park than there are spaces available. 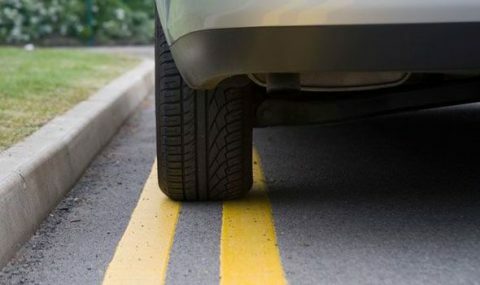 In 2015 we managed to get some new parking restrictions agreed in nearby residential streets, and double yellow lines were painted along several of the local roads that were most affected. Unfortunately some of the lines are not perfectly located, so we are currently looking at how the markings can be ‘fine tuned’. This looks like it will be a slow and costly process as we will have to formally jump through several legal ‘traffic hoops’ to get the adjustments made. Parking issues are now also a growing problem further into the Coopers Edge development – particularly in Arlington Road, Ashbrittle Road, Bowthorpe Drive, Rosselle Drive and parts of Yew Tree Road. One option we are exploring for these roads (none of which have yet been formally ‘adopted’ by the county council) is the introduction of private parking restrictions. Residents would get a special parking permit (at no cost), but anyone without one of these could get a parking fine if they park there between 9am and 5pm Monday – Friday. There is no easy answer, but if it becomes increasingly difficult for workers from the Business Park to leave their cars in nearby residential streets it is hoped – eventually – that more of them will use public transport, cycle, walk or use the Park and Ride facility. A recent survey of the main streets that are affected suggests that more than 90% of residents are in favour of parking restrictions being introduced. We recognise that this option may move the problem further out to other streets – but the private parking restrictions could be extended to cover these roads too, if required. We have also had problems with employees taking short cuts, through hedges and over fences, from the residential area into the Business Park. A new footbridge and cycleway is in the pipeline linking the Park to Ashbrittle Road. The consortium that has been building the new homes in the Coopers Edge area hopes to get this built soon, so there is less damage to fences etc. The present surgery buildings in both Hucclecote and Brockworth are too small and are in a poor condition, and the population of the area is growing rapidly, so both surgeries are now effectively ‘over subscribed’. The local NHS team is therefore progressing plans for a new, much-bigger and much better-equipped combined surgery that will probably be built on the Perrybrook site (relatively close to the traffic lights at the junction of Hucclecote Road and Valiant Way). We are liaising with the NHS team, and are pressing it to locate the new facility somewhere central and convenient for as many people as possible. • Much more spacious surgery facilities for both practices, with the potential to accommodate additional new GP’s. • Complementary accommodation for local social care support teams. • There could also be a minor operations surgery, a Well Being team and other health/fitness related services like a foot care clinic or acupuncturist. • Good on-site car parking provision, and close links to footpaths, cycleways and public transport. 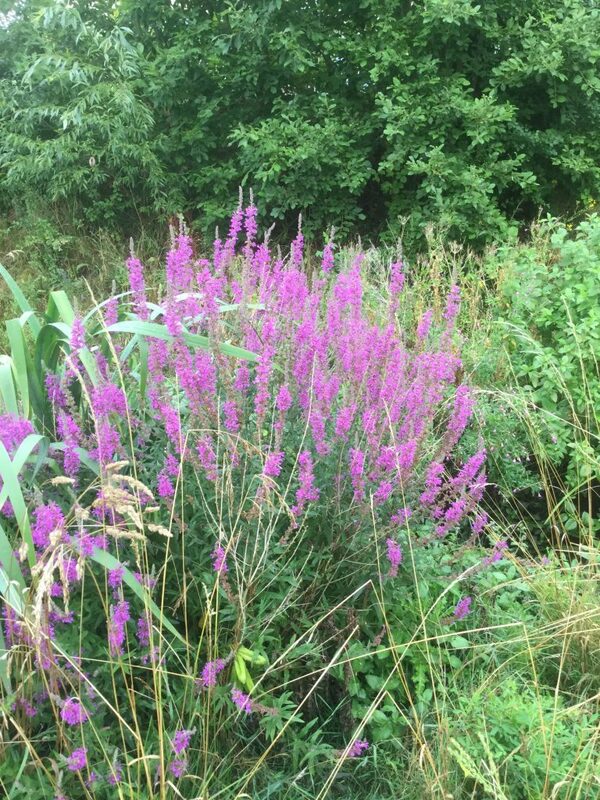 We have recently seen a modest improvement in traffic noise levels associated with the M5, largely as a result campaigning and high level lobbying work undertaken by the parish council. Over the last few years the motorway surface had deteriorated so that it was in a very poor state of repair; and the rougher the road surface, the higher the noise levels that are emitted. But in the spring of 2017 a brand new road surface was laid – with more than 2,000 lorry loads of tarmac used between junctions 11a and 12. Hucclecote worked with neighbouring parish councils, which led to meeting with the Transport Minister in London. 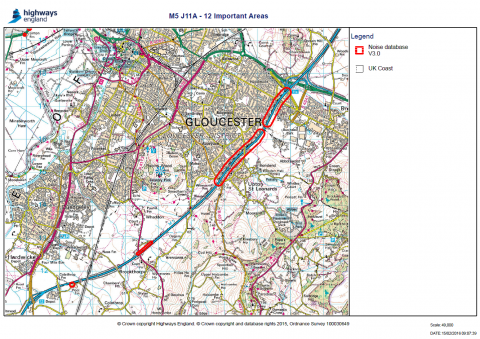 This campaign helped to persuade Highways England to significantly bring forward its plan to resurface the M5 (it was originally scheduled for 2018-19). Our councillors are continuing to press Highways England to see if improved sound barriers can be installed along the embankment adjacent to Sussex Gardens and Belmont Avenue. The map below shows the area that was resurfaced in 2017. 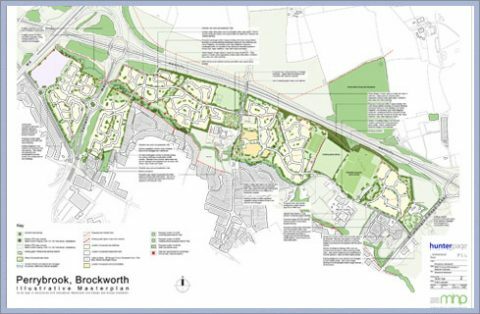 Plans for a major 1,500 home ‘urban extension’ to Brockworth, in the Green Belt alongside the A417 are slowly taking shape. The scheme now has planning permission we have been closely monitoring the detailed plans and liaising with Tewkesbury’s planners, Brockworth parish council and the developer to ensure Hucclecote is not adversely affected. Although the £300+m development is outside our parish boundary the project will have a significant wider impact – generating more traffic, and adding pressure on existing educational, public transport, leisure and healthcare facilities. The scheme may also generate some flooding issues. The whole project will take about ten years to build, and includes 600 affordable homes, a care home for 175 elderly people, offices, shops and a new community health hub. The improvement works have now been completed and we welcome new groups and clubs to the venue. The Parish Council would like to thank the following organisations who helped fund the improvements and the extensions to the village hall.